These funny costumes aren't just for word nerds. It's okay if you procrastinated your Halloween costume or just don't feel like breaking the bank for something you'll just wear once. You can put together one of these easy and clever outfits by using items you might already have in your closet or from a quick trip to the thrift store. 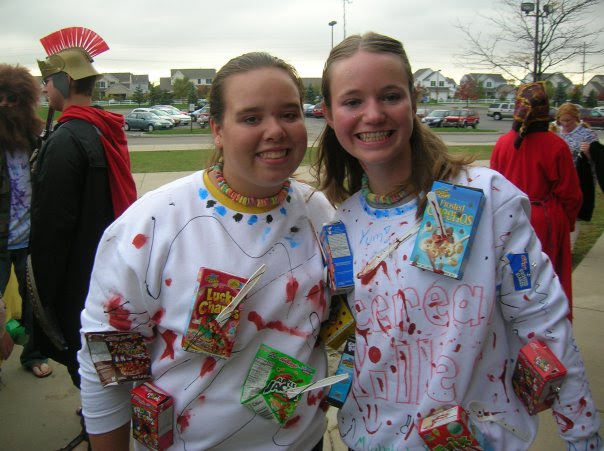 Attach the cereal boxes to a sweatshirt, viciously stab the boxes with plastic knives and decorate with fake blood. Go Team Ceiling! Be a cheerleader for the Ceiling sports team this Halloween. 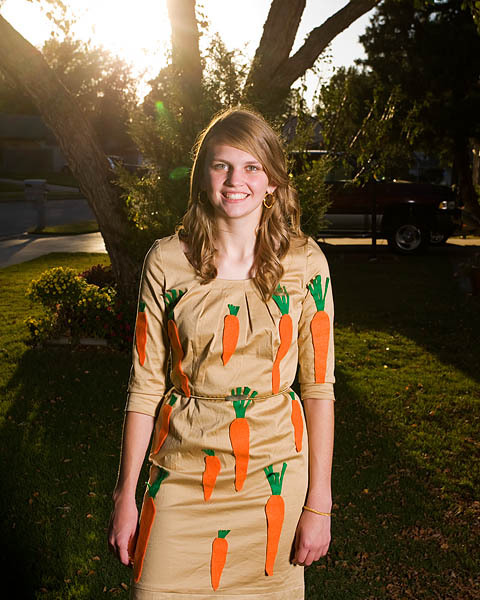 Attach 24 carrots to your gold outfit to create 24 karat magic in the air. Attach the leaves to the hat, making sure some leaves dangle in front of your face. When someone asks what your costume is, start blowing on your leaf. 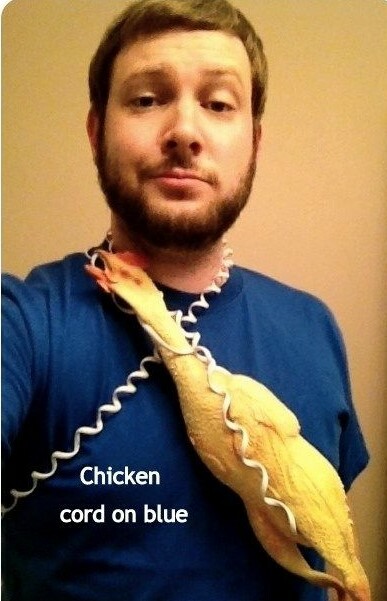 Wearing your blue shirt, attach the chicken to the cord, and voila, you've got a chicken cord on blue. The boo-tiful thing about Volunteers of America is discovering all the pieces you need for your Halloween costume at affordable prices. Share your Halloween costume finds with us on Facebook to enter for a chance to win a $25 gift card.